IPv4 will soon be replaced completely and IPv6 will be the new standard protocol for the Internet. Mobility is one of the biggest challenges for businesses in 2018. The increasing desire for reliable and robust mobile communication is causing organisations to reconsider how they work, which tools they use, and the options they offer to employees to facilitate effective communication and collaboration. But one nearly untouched matter will inevitably turn into a driving force for interconnectivity and mobility at a whole new level – IPv6. Internet Protocol (IP) version 6 is the latest version of IP – the communications protocol used to route internet traffic. For businesses, today more than ever, we are constantly on the move rather than actually present in an office. Instead of covering our working hours behind fixed desktops, we are travelling to clients´ premises or conferences, working in hotel lobbies or business lounges at the airport, or finalising important projects during the evening hours from our home office. As the majority of businesses now operate in an interconnected, global environment, with customers, partners and suppliers spread across the globe, communications can be vital for supporting international opportunities. This constant change of physical location for today’s ‘anytime workers’ has had a direct impact on our communication patterns, including the devices in use and the networks those devices are connecting to. How often have you had a VoIP call that suddenly dropped when moving between different networks? If you are lucky, you will get through again and reach this important client or business partner to close that crucial deal. Any disruption to communications can cost a business dearly – from simple lost productivity due to inactive workers, to missing out on critical contracts or even failing to meet compliance demands. But what happens when technology does not seem to be on your side? The root of this problem lies within the structure of IPv4 and how it has shaped the way internet traffic has been routed so far. With the enormous increase of devices connecting to each other, spawning the development of IoT technology, IPv4 has reached its limitations. Using 32-bit addresses, IPv4 is not sufficient to provide each device with its own unique IP address. Even though IP mobility is already a part of IPv4, moving in different networks still caused IP addresses for mobile devices to change frequently, resulting in interruptions. 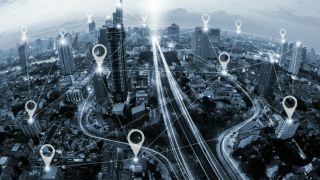 It has become evident that a new protocol needs to be implemented to ensure consistent connectivity between devices as well as future availability of IP addresses. Even though, until now, network address translation (NAT) has successfully delayed the exhaustion of IP addresses, there is no way around IPv6 which, using a 128-bit address, is technically designed to never run out of capacity. The new IPv6 protocol follows the same design principles as its predecessor when it comes to the identification and location of devices, as well as the routing of network traffic across the Internet. But with IPv6, the amount of available IP addresses increases by 7.9×1028 compared to IPv4, leading to effectively infinite availability for IP addresses. While the main achievement of IPv6 is to solve the problem of IPv4´s address exhaustion, it also provides a crucial feature that takes mobility to an entirely new level. With IPv6, IP mobility now allows a host to roam around different links without losing connection with its IP address. This avoids the tear down when moving across different networks and consequently ensures uninterrupted mobility. Another huge potential of IPv6 lies within the possibility to connect devices to each other at any time, in any location, allowing them to communicate easily with each other. With all devices running on IPv6, businesses inherit mobility automatically and enable their users to preserve one singular IP address for their device while communicating across different networks. Specifically, VoIP communication benefits greatly from IPv6 as it improves quality of service and scalability. Another great advantage of IPv6 is that it allows entire subnets to be easily moved without re-numbering them, for example when changing Internet provider. Developed in the late 90s, IPv6 only became an official Internet standard in 2017. The fact that NAT has enabled some temporary solution to the exhaustion of IP addresses with IPv4 played a major role in this delay. But with the increase in devices used within, and to even greater extent outside, businesses´ premises, the implementation of a new standard that facilitates uninterrupted real-time communication within the IoT becomes inevitable. It is expected that both protocols will be used in parallel for a very long time, creating two independent networks. Since IPv4 and IPv6 are not interoperable, the transition will be a challenge, but there are already transition mechanisms (such as NAT64) in place. Further, translator gateways can be used as intermediary trans-protocol systems, facilitating the communication between hosts using different protocol versions. Meanwhile, the most popular software solutions with networking capabilities comply with IPv6, which is also supported by the main operating systems in use within commercial, business and consumer environments. While IPv4 carried more than 99% of the Internet traffic worldwide in 2014, Google reported in December that its services were reached with IPv6 by 22.6% of all users. This indicates an increasing expansion of IPv6, even if it is unevenly spread over different regions. Technology is constantly changing – as new technologies appear and others become obsolete, organisations that cannot keep pace can find key capabilities crippled. It is only a matter of time until IPv4 will be replaced completely and IPv6 will assume its position as the standard protocol for the Internet. In order to retain a competitive advantage and to reassure customers and partners that they are dealing with a modern business, organisations must get ahead of this change and start making plans now. It is vital organisations start looking to make the switch to IPv6 to future-proof their organisation's communication flow.